If you are travelling and need to contact your specific airline directly, please find customer service contact details for each airline below. Please do not contact My Baggage regarding your flight or flight baggage allowances. We are a baggage shipping service and are in no way associated with any airlines. 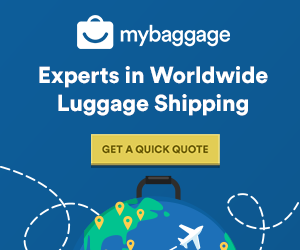 Instead of paying out for excess baggage with your airline, have you ever considered shipping your luggage to your destination with professionals? My Baggage is a luggage shipping service which provides a cheaper and more convenient alternative to booking baggage with your airline. It means you’ll save yourself some time at the airport when you don’t have to check-in your bags, no waiting around at luggage carousels on the other side and ultimately, one less thing to worry about whilst you travel. You can obtain an instant quote from us straight from our homepage and you can book everything online from the comfort of your own home. Booking your luggage shipment online with My Baggage takes just a few short moments. 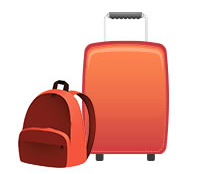 We offer a convenient door to door luggage collection and delivery, saving you from all of the hassle. As well, we provide full online tracking alongside SMS and email updates to keep you in the know every single step of the way. My Baggage makes the entire luggage shipping process as easy as possible. Once you’ve booked, we’ll send you some labels to print and attach to your shipment. If you’re unsure how to attach your labels to your item, you can read through our detailed packaging guide for more information. As well, if you happen to be sending your items outside of the EU, we will provide you with appropriate customs documents to complete. To give you that extra peace of mind, My Baggage offers £100 free compensation cover on every single shipment. If you wish, you can increase this amount right up to the value of £1000. Before selecting your amount of cover, we recommend reading through our list of prohibited and non-compensation items to ensure your contents will be covered. If you happen to have any questions or concerns along the way, we have a dedicated customer support team willing to help. If you have any issues with your My Baggage shipment, please don’t hesitate to contact us directly via phone, email or live chat. My Baggage delivers luggage to 200+ countries worldwide for students, holidaymakers, expats, business users and the armed forces. So no matter where you’re off to, we can help you get your luggage there quickly and safely, all for a fantastic low cost. Find out more about My Baggage here.